Nicely done thanks for playing our challenge at 4 Crafty Chicks! Oh I love the sentiment. 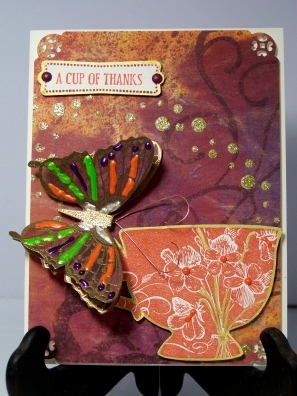 Wonderful cup and the butterfly is awesome. 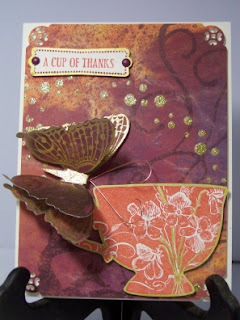 Thank you so much for sharing it with us at 4 Crafty Chicks.